Get ready for the Petrodollar to live forever... or at least as long as investors are willing to put down cash for an oil backed cryptocurrency. This is because Signal Capital Management has announced the creation of the Petrodollar crypto which will launch an ICO later this year, and potentially compete with Venezuela's Petro as an oil backed token. However the difference between the two is that while the Petro is owned and controlled by a sovereign government, the Petrodollar will be decentralized and run through an established Asset Management company. Signal Capital Management announced the launch of their PetroDollar cryptocurrency (XPD) on March 12. 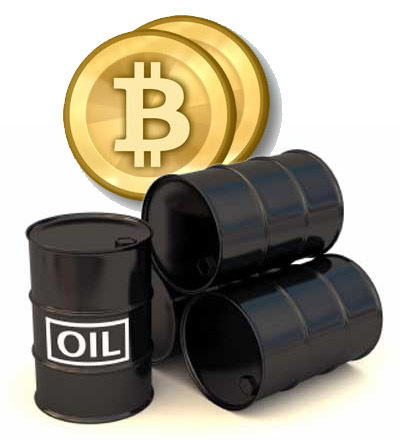 Saying PetroDollars will allow investors to use peer to peer exchanged digital currency backed by the value of crude oil and natural gas instead of “thin air” the management group hopes to launch its ICO by late this year. According to the group’s white paper each PetroDollar will be backed by a commodities grouping of crude oil, natural gas, and gas assets. The token issuance will be hard capped at 500 million with 450 million to be retained for future sales. A reported 25 million has already been issued to an affiliated oil company to be sold in order to develop the oil and gas reserves that will back the PetroDollar. The group expects the ICO to raise $700 million.